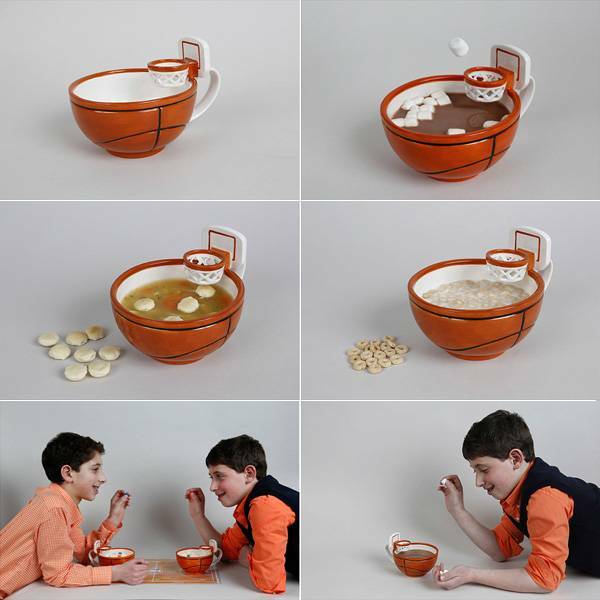 A mug with a basketball hoop looks playful, interesting and creative. It will delight any child and improve mood. 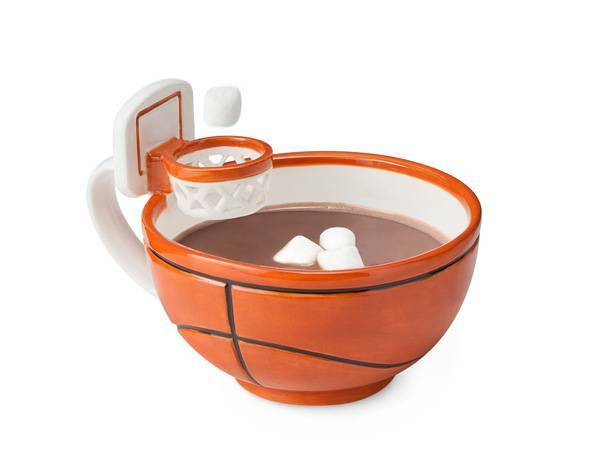 The Mug with a hoop makes a nice gift and will look great on a kitchen island or on an office desk. Lushome presents this bright and unusual mug which is designed by a 9-year old schoolboy who knows a lot about playing while eating.